The boys slept in on Sunday. Ben and I went out for early lunch before going for groceries shopping. 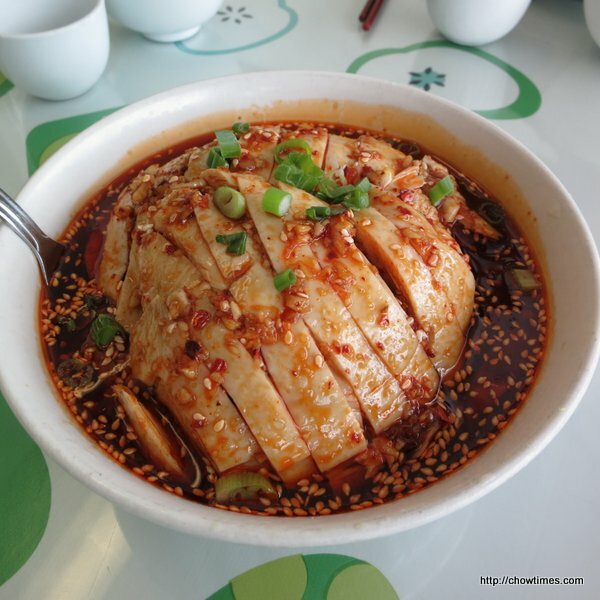 We went to Beijing Noodle House for some light lunch. Ben ordered a Beef Noodle Soup. Although the beef had layers of fat but it is still a little tough for me. Ben enjoyed the noodle which has the right amount of chewiness. 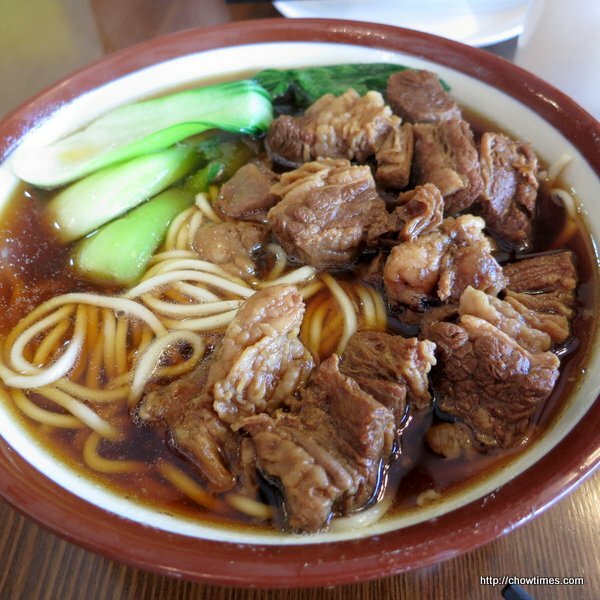 The beef noodle soup is $7.50. 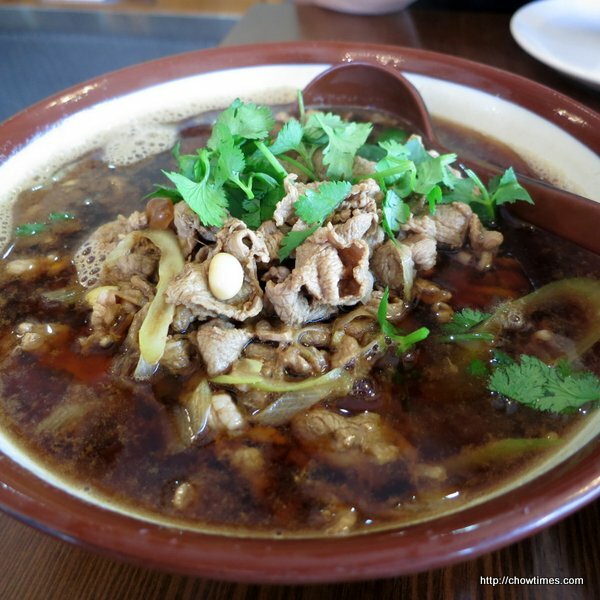 On a Saturday afternoon, Ben brought the family to Szechuan Delicious Restaurant on No. 3 Road for lunch. He used the excuse that the lunch was for mum to shut out Arkensen’s protest. 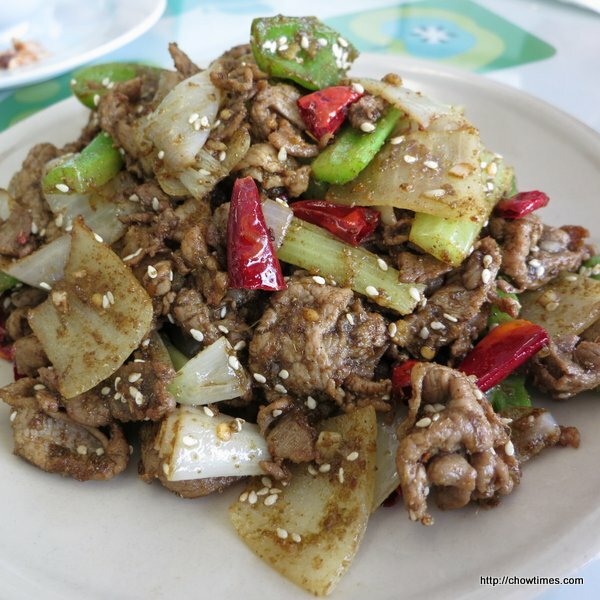 First, an appetizer of Saliva Chicken. The serving looked big for $7.95. 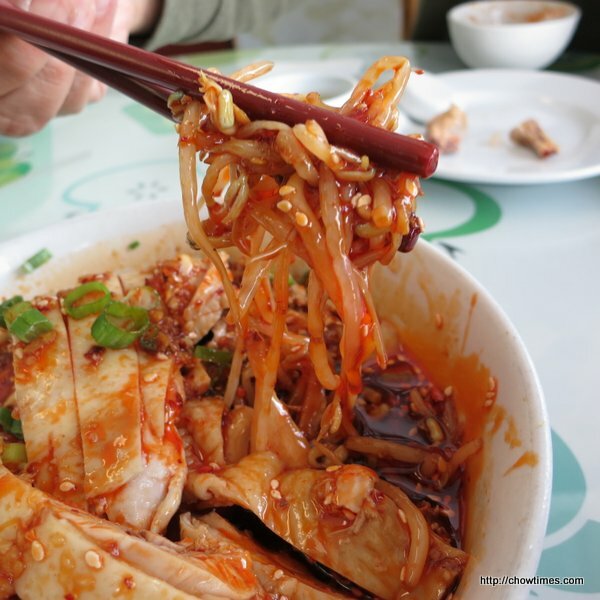 Actually, the bottom of the bowl was filled with bean sprout which I do not mind. Ben loves the sauce so much that he asked to pack the leftover home. Any one has a recipe of this sauce to share? 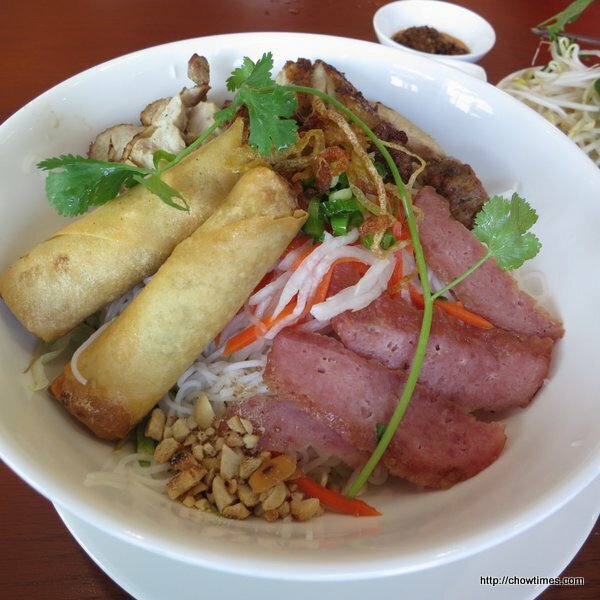 Pho Khang is another new Vietnamese restaurant that pops up in Richmond. 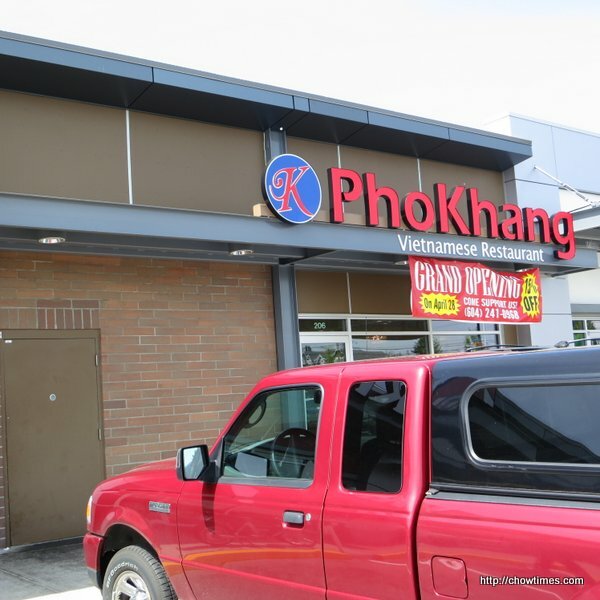 Pho Khang opened on April 28 and offers 15% discount until May 15. Nanzaro and I visited Pho Khang just in time before the discount expire. 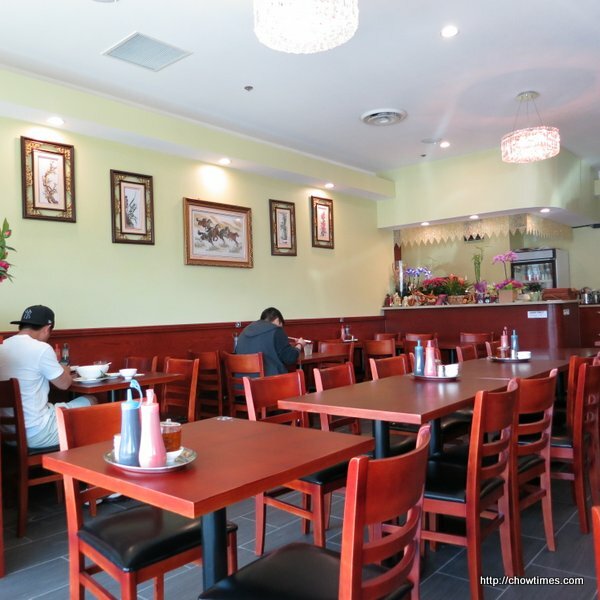 It was a good size restaurant; much bigger than we anticipated as the previous tenant was a Fish & Chip take out restaurant with no proper sit down tables. A usual tool in the kitchen. 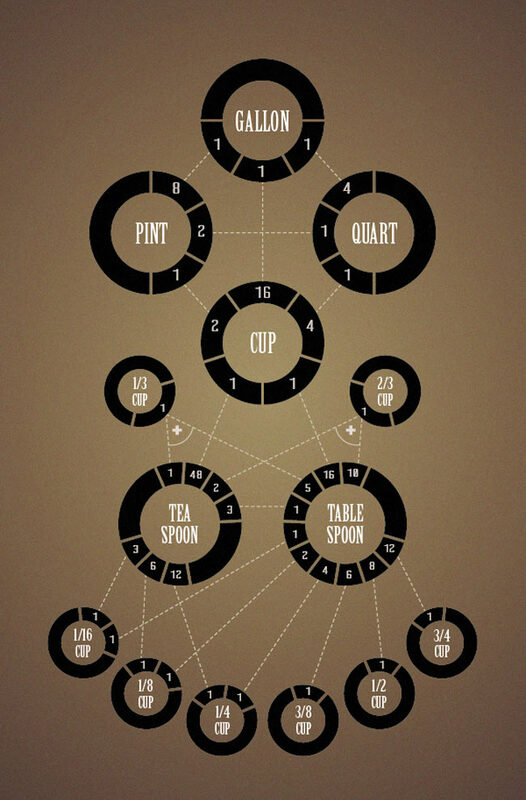 You can click on the image to have a larger view. Michelle prepared a Mint Iced Tea for the South Arm Older Adults Cooking Club lunch. The mint is from her garden. Mint is also known as mentha, is actually a genus or group of around 15 to 20 types of plants including peppermint and spearmint. Mint plants contain an antioxidant known as rosmarinic acid, which has been studied for its effectiveness in relieving seasonal allergy symtoms. Because of rosmarinic acid’s anti-inflammatory properties, roamarinic acid has been shown to be a promising treatment. 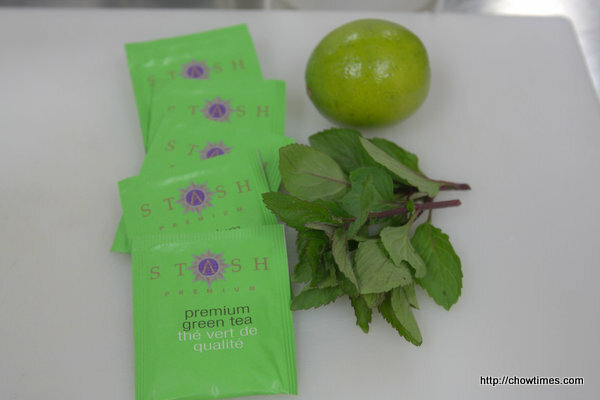 Mint contains menthol, which is a natural decongestant that helps to break up phlegm and mucus. 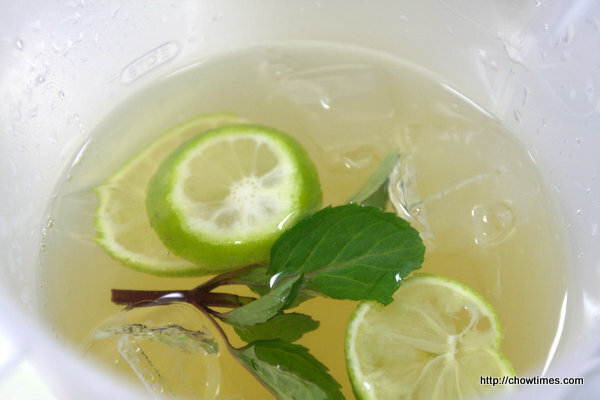 Mint can also be effective to improve the flow of bile through the stomach, which helps to speed and ease digestion. The use of peppermint oil has been found to be an effective and safe treatment for those suffering from abdominal pain or discomfort associated with irritable bowl syndrome. 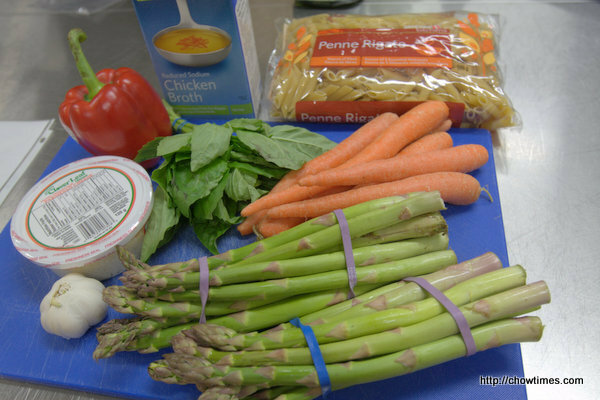 The South Arm Older Adults Cooking Club served the Pasta with Veggie Confetti with a Mixed Greens salad. 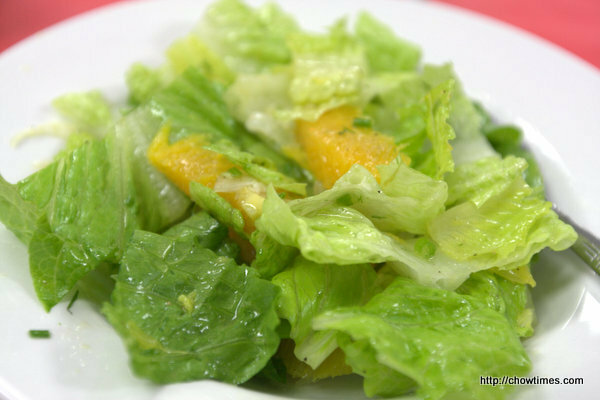 This Mixed Greens with Orange Chive Dressing has a refreshing summer feel. 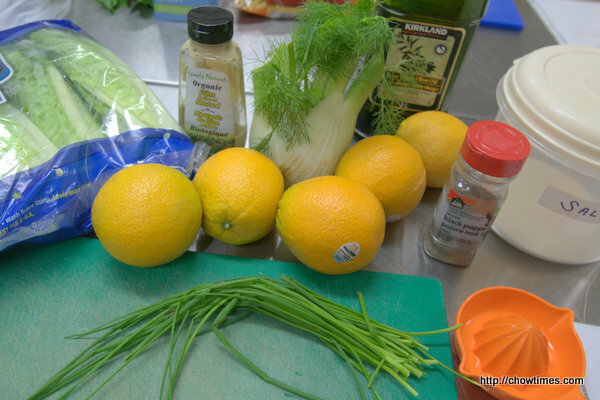 Fennel bulb is actually called “Florence Fennel” and is a crisp vegetable that can be sauteed, stewed, braised, grilled or eaten raw. They are used for garnishes or can add flavour to salads. It is high in Vitamin C, fiber and potassium. For this South Arm Older Adults Cooking Club meet, Michelle shared a few recipes rich in vegetables and fruits for a heart healthy meal. She shared with us that a recent studies reviewed a daily intake of 5 to 7 servings of vegetables and fruits reduce the risk of heart disease by 50%. 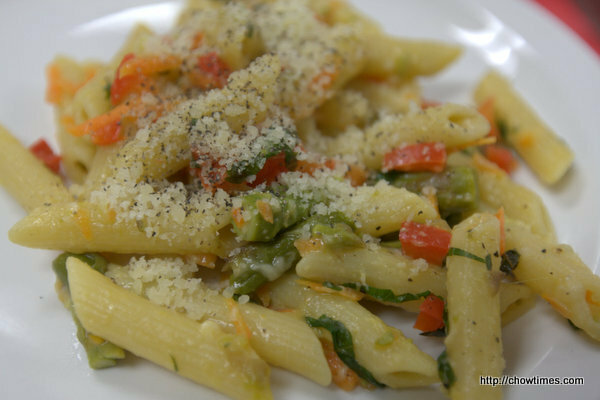 This Pasta with Veggie Confetti recipe utilizes asparagus which is in season. 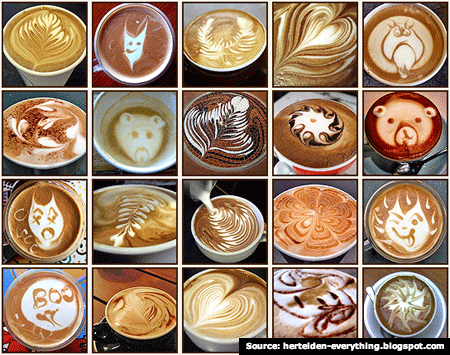 Almost too nice to drink. This is just a casual weekend lunch. The boys wanted to go to Banzai. There was no parking at that ever busy strip mall. The only parking spot available was reserved for Man Ri Sung. So, we split up for lunch, Ben and I went to Man Ri Sung while the boys went to Banzai. Ben opted for a hotpot for 2. 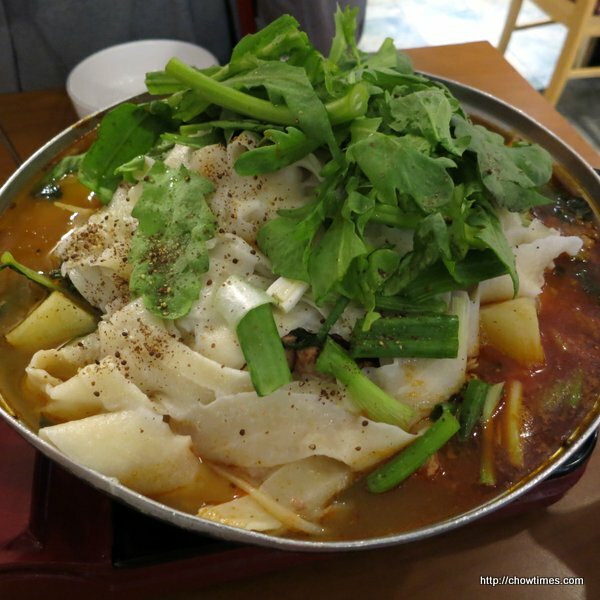 It was spicy pork back hot pot. There is option for rice or hand slice noodle. We picked the latter. 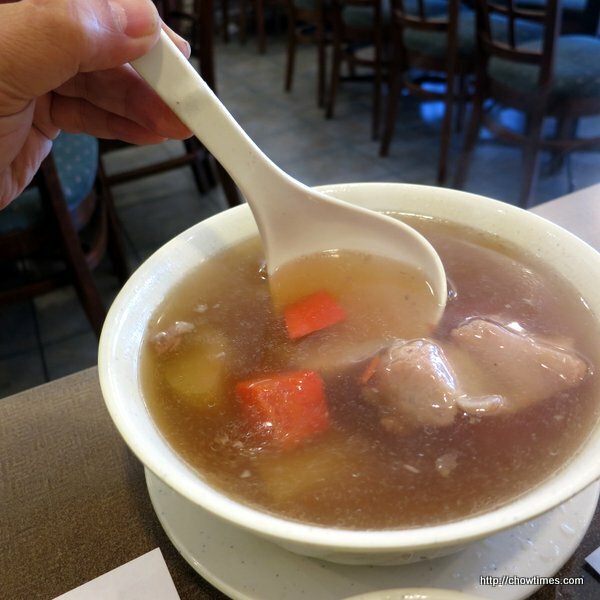 Lately, Ben either craves for Sichuan or Cantonese food. This time, he picked Cantonese cuisine. He decided to revisit Kam Ho Restaurant at a quite strip mall where parking should not be a problem. We opted for a dinner combo with three dishes. 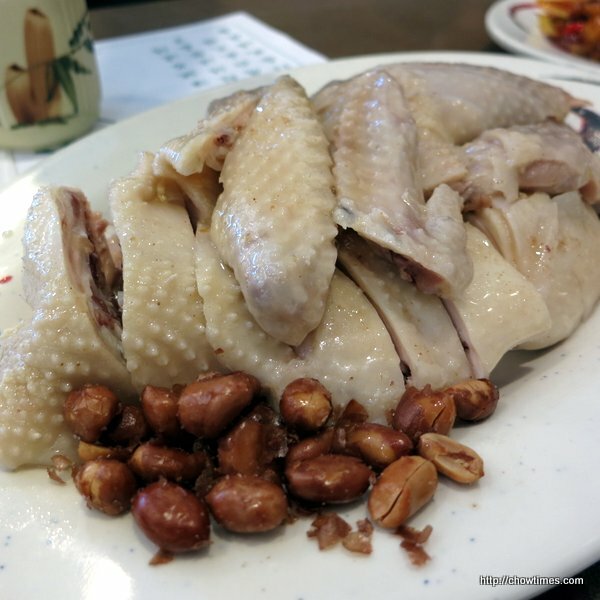 Since, Kam Ho specializes in Hainanese Chicken, one of the dish we picked is half of the Hainanese Chicken which is served cold. 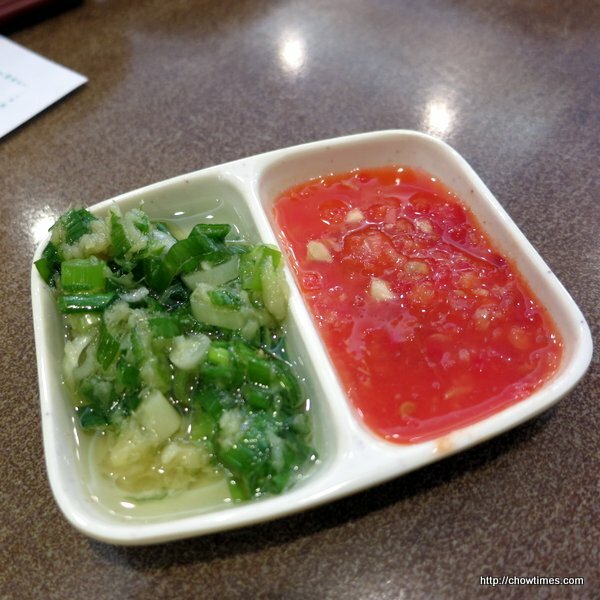 Condiments for the Hainanese Chicken includes ginger green onion in oil and sweet chili sauce.